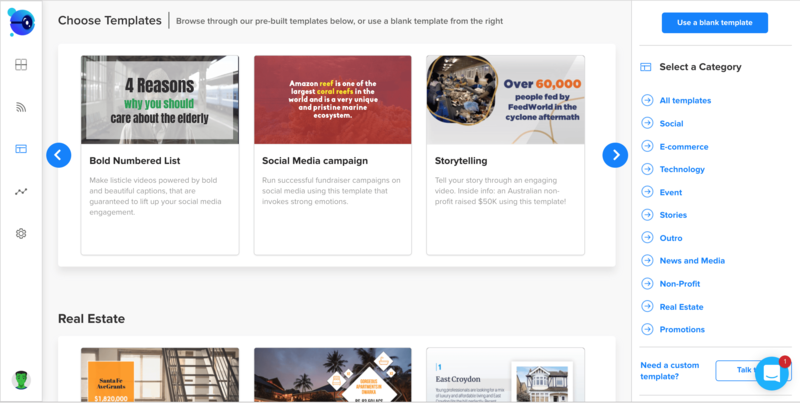 Quickly make videos stories for your causes and fundraising campaigns. Easily share them on social media. Boost donations. Tell impactful stories using this video template, and invoke strong emotions in your viewers. Vibrant colors, impactful fonts and mesmerising animations flow in the veins of this template. Woo your audience through video stories that show how you’re making the world a better place. Use preset templates and themes to make pro videos in minutes. No design expertise required. Videos work 100X better than text+image stories, especially when you are celebrating donor participation or raising funds. Turn your best blog posts and articles into videos by simply pasting their links in the Rocketium video editor. Auto import text and images from articles and offline docs. Capitalize on audience attention through branded videos that are uniquely yours. Add your logos, custom intros, outros, brand colors, and fonts to existing templates that are built ground-up for cause awareness and fundraising. Best part? It all takes minutes with our easy Medium-style editing and powerful styling. With over 90k views in a week, Rocketium videos were used by Milaap in a campaign aimed to provide accommodation and meals to 125 slum children. Upload your own images and video clips, or pick from over 2 billion royalty free media assets from the biggest names in the business. Choose from 5 aspect ratios. Square (1:1) for Facebook, Twitter and Instagram, landscape (16:9) for YouTube and web pages, and Portrait (9:16) for Snapchat and IGTV. Make Facebook cover videos to increase Facebook following, and Instagram native video ads to attract Instagram users. Connect your social handles to Rocketium, and share your videos to platforms like Facebook, YouTube and Twitter instantly. Get video analytics and insights to measure your video’s performance on social media. Clone videos and perform A/B tests. Improve. Learn. Create high converting videos. Within the first week of using Rocketium, Catalyst was able to raise $50,000 in donations from just one Rocketium video, which they put up on Facebook for a cancer non-profit. Raise funds and boost donations by making videos for audience from different parts of the globe in their local languages. Over 100 languages supported. © 2018 Rocketium.com Technologies Pvt. Ltd.